First things first, Apologies for this being long overdue. 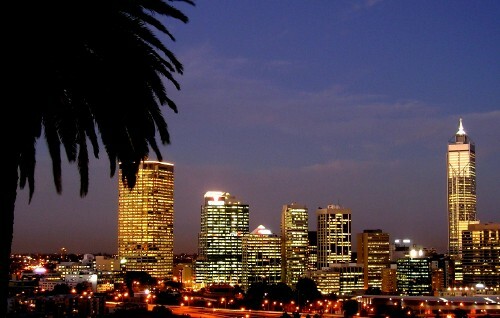 The first couple of weeks in Brisbane passed quite quickly without all that much happening. We fell in love with the city as soon as we got there - and even more so because it wasn't raining and it wasn't Townsville. We stayed in 3 different backpackers in the first 3 nights - changing everyday to try and find the cheapest. The one we settled on didn't turn out to be the best especially as it was a party hostel so the banging tunes that were blasted into the room for 12 hours a day, which only ceased on Fridays to make way for the live singer who murdered every single song he attempted, were'nt all that appreciated during our job search. A lot of our second week was spent taking trips to the doctors surgery and the pathology lab as (5 appointments and about 300 dollars later) it was concluded that Becca had managed to contract not only one, but two types of fever. Dengue fever (turns out there was an outbreak in townsville) and glandular fever. This meant that she had to spend everyday in bed for about a week (not great when we were in an 8-bed dorm with some very interesting characters and the banging tunes). Also put a halt on her job search. Meanwhile, Hannah and Laura put a halt to their own job searches by putting the wrong mobile number on every single job application and CV they painstakingly handed out. not the best realisation let us tell you. Especially as they discovered this while they were waiting for a call back from the only interview they had. Luckily, they discovered it just in the nick of time, and after the most awkward phonecall ever, which involved having to ring their interviewer to ask if they'd got the job or not and try to explain about the whole mobile number mishap but somehow beyond explanation they managed to get hired. Therefore, Hannah and Laura are now 'masters'of electricity sales. This basically involves knocking on doors for 5 hours a day and trying to sell electricity to cranky people who do not want to be disturbed. Training was also an interesting experience as they were given homework, were sat in a classroom for 2 days studying electricity and even had to sit an exam! They both got full marks by the way!! The highlight of our stay in Brisbane city backpackers was when the Danish girls we met in Cairns came to visit us for a week. They did a good job of entertaining us (One game they liked to play a lot consisted of them sticking dry spaghetti up their noses to make them sneeze, then bursting into hysterics - possibly the strangest game we have ever known). We became really close to them and they even resorted to humiliating themselves for us when we persuaded them to sing Freestyler by Bomfunk MC's on the kareoke in a deserted bar - dedicating it to becca as a get well soon gesture. Had a couple of really good nights out (one of them to celebrate Louise's 19 and 75 day birthday - we've learnt that Danish people find any excuse for a party!). Had our first proper aussie BBQ one night with all of us down by the river. The south bank of Brisbane river is really pretty - it has a lagoon and is lined with free BBq's for anyone to use. We spent quite a few days just lazing about in the lagoon mainly because we were still unemployed and couldnt afford to do anything else! Saying goodbye to the Danish girls was really hard and parents be warned that we're going to Denmark next summer and you will also be receiving an influx of mad Danish people in due course to come and stay in our houses. We even dragged ourselves out of bed at 5 in the morning to wave them off when they went to the airport to goto New Zealand- we wouldn't do that for just anyone! Laura made a very big step and got her hair cut SHORT! much to becca's happiness as she'd already chickened out 5 times before she actually went through with it! It pulled off and we all agree it looks fab. We'll be posting photos shortly. One thing we did splash out on was the biggest koala sanctuary in the world!! this was possibly the best day of Australia so far and possible Becca's whole life- despite th multiple fevers). We saw all sorts of wildlife including lots and lots of koalas, kangaroos, wombats, dingoes, echidnas etc. We even got to feed the kangaroos and happily handed over the 16 dollars for a photo of us holding koalas. Quite possibly the cutest things ever, despite the attempts of Bagel, Laura's koala, to escape and scratch her (she very nearly dropped the koala). Altogether, a great day out and one we'll remember. Koala's are now officially Laura and Becca's favourite animal (well, second favourite for Laura who prefers Chloe the tortoise obviously). Went for a BBQ halfway through the second week at Jen and lochie's house. Jen is Hannah's future step-aunt (Alison's sister) - sounds a bit far removed but actually they've been totally lovely to us and insisted that we come and stay with them for the next 4 weeks that we plan on staying in Brisbane. Consequently, we moved in last weekend and have settled in really well. It's so nice being in a home environment again! They also have 3 little girls who are incredibly cute. Emily who is 6, Laura who turned 3 last week and 18 month old Maddie. There's never a dull moment with the 3 of them who each have their own unique personality and keep us busy every second spent with them - especially Laura who is one of the cheekiest children you'll ever meet but is so cute she could get away with murder! As a result of the dengue/glandular fever, Becca thought it would be a good oppurtunity to go and visit her uncle Rob and Amanda in Adelaide and had a really good few days recouperating- when she finally got there that is, as she had a minor drama on the way to the airport. We all said our final fairwells and Becca boarded the train to the airport - or so we thought. Turned out, as we'd been running a bit late, she just jumped on to the first train that pulled up on the misleadingly signposted áirport train'platform. As she was speeding out of the city it suddenly dawned that the train was going in the wrong direction. Something the nearby passengers found hilarious. Got off at the next station and got on the next train heading back the way she'd come. However, this did not stop at Eagle junction and she ended up speeding right back into the city centre pretty much. COMPLETELY wrong direction. By this point she should have checked in already. Anyway, after about an hour of being on the edge of tears and very stressed, speeding in and out of Brisbane in opposite directions, she arrived at the airport and despite the fact that her plane was leaving in 15 minutes - decided to leg it anyway.Screeched up to a virgin blue help lady ten minutes before departure and turned on the tears practically. She then took pity on Becca and escorted her past all the queues to a bag-drop desk, then she had to sprint for the gate. Miraculously it all worked and her bag even got put on the right plane! Anyway, despite the dramatic opening, she had a really good week at Rob and Amanda's house in the beautiful adelaide hills and especially enjoyed having their 4 dogs around! Also went kangaroo spotting one night on their land and managed to see a few! Thanks for looking after her so well! Meanwhile, hannah and Laura were hard at work and excelling in their new found career in the electricity industry. If anyone has any questions regarding electricity retailing and supply in queensland Australia, please send them our way! Surprisingly, they're both really enjoying their jobs - largely due to the people they're working with who are mostly backpackers as well or Australian's our age so they've made some really good friends already. it's good being able to go out on a night (it's what their team - team dodge as they're known! do best) and actually know people. Team Dodge is definately a very appropriate name for the group of people we're working with- our manager got fired last week for drink driving and somehow managed to sweet talk his job back! They do have their bad days - something Laura has experienced in the last week when her day involved losing a customer's bill to the wind and having to chase after it down the street getting mauled by a dog and tripping over on the doorstep and only making one sale that day! Needless to say that she was in need of a drink - fitting when it was the team's weekly night out - of which there seems to be at least 3 days a week! Had a lot of doors slamming in faces but also a lot of cool people, especially the old grannies who all love their English accents (probably the primary reason for most of the sales). They're still not 100% sure of what they're talking about most of the time - blagging seems to be the most important talent to have in the sales industry they've learnt.Out the house for 11 hours a day though and its 6 days a week so its pretty knackering- especially when its like 35 degrees and crazy humidity which isnt exactly the most comfortable door knocking weather. Beccas doing a great job of helping look after the kids and is still trying to rest as much as possible to make sure shes totally recovered. As Sunday is hannah and laura's only day off we've been doing a few day trips to try to see a bit of Australia- something we haven't done much of considering we've been here for a good 6 weeks now.Went to surfers paradise for the day a couple of weeks ago with Lochie and little Laura. After a tour of all the supermarkers in the area trying to find somewhere that stocked waterproof nappies we took laura swimming in the sea. She goes absolutely mental- some of the waves were big enough to be basically pushing fully grown people over but they didnt phase Laura (mini) in the slightest as they crashed over her head. Went to Noosa last Sunday- a great family day out including a very sandy picnic, quite a serious sand castle competition and lots of swimming in the sea. Noosa is beautiful and we've all decided we'd like to go back there when we have more money. Unfortunately this seems to be quite a common theme for most the places we go! Another week and a half of electricity sales to go then we're heading up to Fraser island which we're all extremely excited about! Its going to be really hard to say bye to everyone here but all 3 of us are starting to get itchy feet again.